Antics of two highly caffeinated yarnies and their geekdoms! I’ve been using Evernote and the Evernote clipper extension for Chrome to jot down ideas for future posts. Not for WiredYarn, but for my job. If you’re not familiar with Evernote, it’s an app and a website that you can use to jot things down. It works crossplatform, so I can use it on my smartphone, my work computer and on both sides of my dual booted laptop. I realized last week that Evernote would also be handy to clip things that I saw this week that are worthy of sharing with you. Here’s where I unveil my list of things that caught my eye. 20 Inspiring Ideas for Combining Crochet and Fabric. I’m not the crocheter. Rick is, but I’ve been known to make an afghan or an amigurumi or two. However, this list makes me want to bust out my hooks and bust my yarn and fabric stashes. This particular pattern is sold on Etsy by sheilalikestoknit. And OMG, Scooters! Yet another crochet project: This adorable crochet lamb.It has a Wallace and Grommit look to it. He looks like Shaun the Sheep. 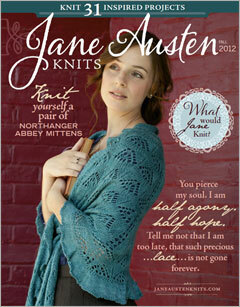 Not to be outdone by a couple great crochet links, the new Jane Austen Knits is out. Combining our love for Jane Austen and knitting. Brilliant! A late entry from last night. This hit my cellphone while I was driving down dark country roads. Once I arrived at my destination, I was rewarded with this. 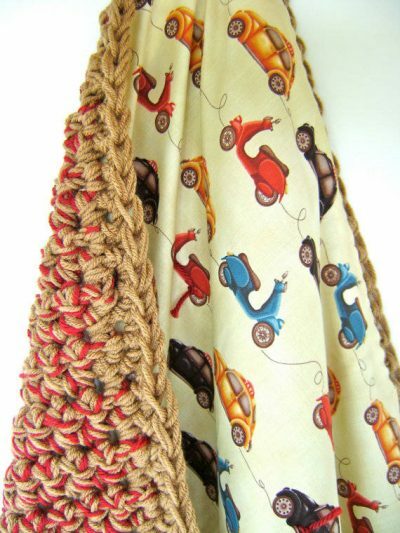 Abby Scuito would love this scarf. Not every fiction author creates knitwear to go with it. Then for something completely different. TBDBITL’s tribute to video games. This has an added bonus of the Script Ohio at the end. There aren’t any local kips recorded on the website, but I’m hoping to find one soon. Otherwise, I’ll haunt my favorite coffee shop with some yarn. Worldwide Knit In Public Day is June 9-17. Is anyone meeting up? Better living through stitching together. I’m supposed to be writing about my projects. 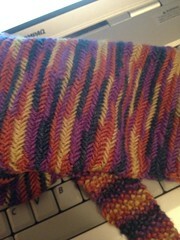 Like these really cool socks I’m working on for my March KAL. or how much I love the heel flap. But the literature geek in me is only thinking of 2 things. 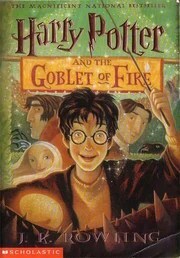 It’s sad that I only started reading the Harry Potter books recently. I’m completely hooked, but part of me is already longing to move on to the Baroom books that John Carter was based on. If you haven’t seen John Carter, make a point of catching it before it leaves the theatres. I know. I know what you’re thinking. It looks like a mash-up of a bunch of sci-fi movies you’ve already seen. What you may not know is that John Carter came before Star Wars, and Avatar, and Dune. It was written in 1917 by Edgar Rice Burroughs, the same man who brought us Tarzan. And fortunately for us, Burroughs seemed to enjoy writing stories about men in loincloths. When I came home from seeing the movie, I wanted two things. First, to have my sons with me so we could have one of our old-fashioned discussions about the merits of the film. I have no doubt we’d be discussing who stole what from Burroughs. Second, I knew I had to read the books. Reading would be the definitive way of identifying what parts inspired the stories that came after these books. Right away I saw Star Wars and Avatar had been influenced heavily by Burroughs’ Barsoom. Carter’s exploration of Barsoom (Mars) was in some ways very similar to Ransom’s exploration of Malacandra in C. S. Lewis’ Out of the Silent Planet. Even more there is a very Braveheart moment and there are characters very similar to The Watchers in Fringe. When I mentioned these things to my sons in the far-off lands of Texas, I was presented with this. “How John Carter Made Me Young Again.” Yes, yes, yes. This is exactly how I felt about the movie. It’s a heroic tale. It’s a space epic. It’s…it’s…it’s just what I needed. See the movie. Read the book. Feel young again. I’m usually someone who is ahead of the trend. I liked bluegrassy-folksy music before Mumford & Sons was a household word. My go-to wedding gift for many years was a hand-crocheted granny square afghan. So why am out of step with Harry Potter books? Because I had an attitude. I’d read the first one and wasn’t impressed, even though I’ve seen the movies. By about the time I’d seen third movie, I knew would eventually read them. Now that I have an e-reader, I’m playing catch up. Of course, as a yarnie, there is a fascination with Harry Potter movies. Molly Weasley is my heroine. I envy her needles that knit themselves. I love the sweaters, hats, scarves, mitts, even those that are a little cheesy.That’s why when I saw this, I realized this might be the closest that I come. When Deadly Knitshade blogged “Knitting the Scarf of Doom.” I thought she was writing about my current project. After thinking about doing a KAL for years, I signed up for StarAthena’s Stumptown Knits KAL and was excited to download the first project, January’s project, the Willamette Scarf. I loved the look of the herringbone knit and, after being bested by the linen stitch last Christmas, I was determined to learn it. I have frogged this scarf more than any other project that I didn’t ultimately abandon. The first couple of times it was the linen stitch. Once I finally got it, it was time to switch to herringbone. I frogged that after realizing all the stitches angled the same way. 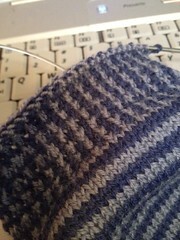 After that, I set it aside to work on my January Granddaughter Project and promptly forgot how the increase worked. That one alone was an 8 inch rip. I’m past the halfway point. 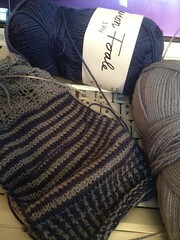 I think I may have it done in time for… the March KAL. Oh, and if you’ve missed the real Scarfgate or Scarf of Doom story, check it out on Whodunnknit. If you’d like to knit your own scarf of doom, there is a great thread Scarf of Doom KAL thread on Ravelry. When I was in the throes of Christmas knitting, my youngest son, who I refer to online as DS3 (I’m sure you’ll figure out the pattern as we move along), asked me if I could make this hat for him. Like a good mom I said, yes. I mean it’s a hat, right? How long could it take? He wanted six. Six hats from The Life Aquatic with Steve Zissou. His brother, DS2 (you picking up on the pattern yet? ), wanted one too. Make that seven, but now I was committed. 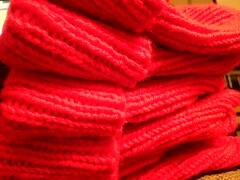 I set aside my Christmas knitting for 7 hats for poor college boys. Okay, so Murray’s has a pom-pom, but it’s basically the same look. 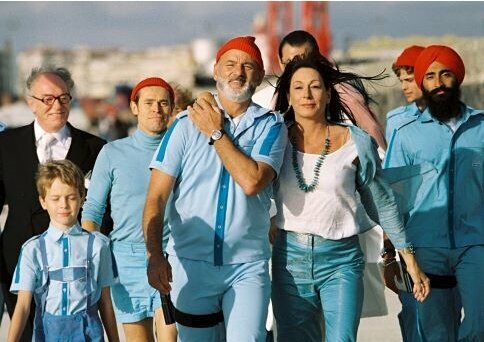 Life Aquatic might be an 8 year old film, but the look is catching on.